Budget car marque Dacia is looking to launch three new models next year, but only one model will reach the UK in addition to the Duster compact SUV. The Renault-Nissan owned firm had a quiet booth at the recent Frankfurt show but will launch a compact family sedan, MPV, and commercial van for 2012, with the former joining the ageing Duster. Renault UK outlets have been angry at the delay of the launch of Dacia as sales for low-cost, efficient cars have been increasing, in addition to its assertive pricing strategy. 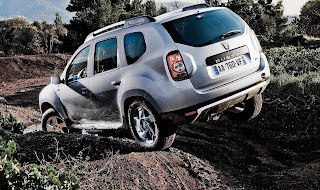 In the pipeline, a facelift for the Duster is planned, in addition to a replacement for the Sandero, which will launch in mid-2013 and a city-car in late 2013.